Now that i have the 4 sections of the harness installed in the car. I am ready to install the dash. 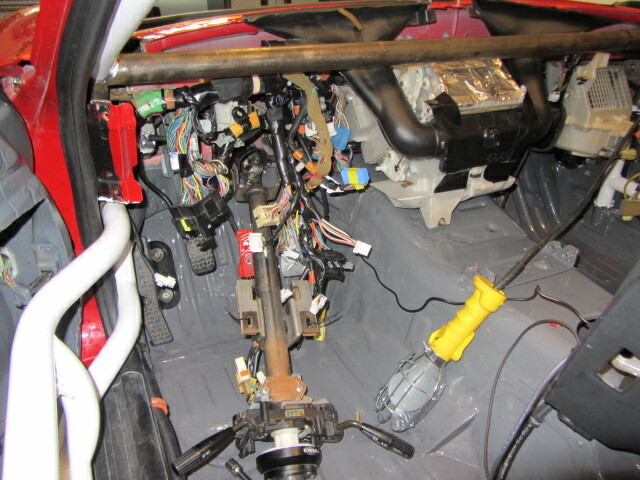 If your roll cage has a center front bar, you heater core box will not fit under the bar so you will have to modify it. I could not use my old one as it took a hit during my crash so I had to start over. I cut the top of the box off with an air saw and taped up the hole with aluminum tape. 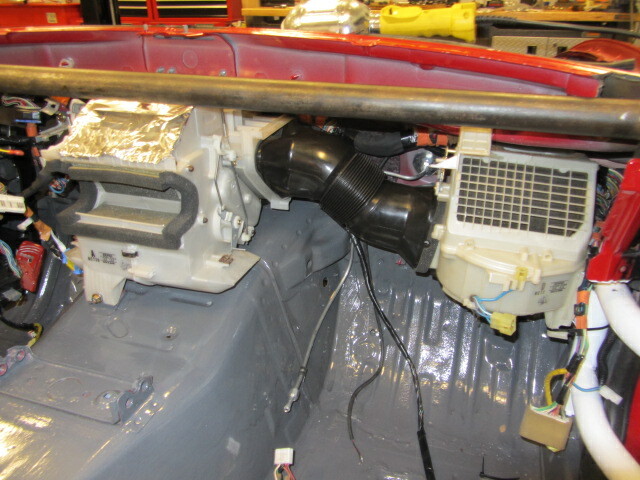 After the heater core box was installed. 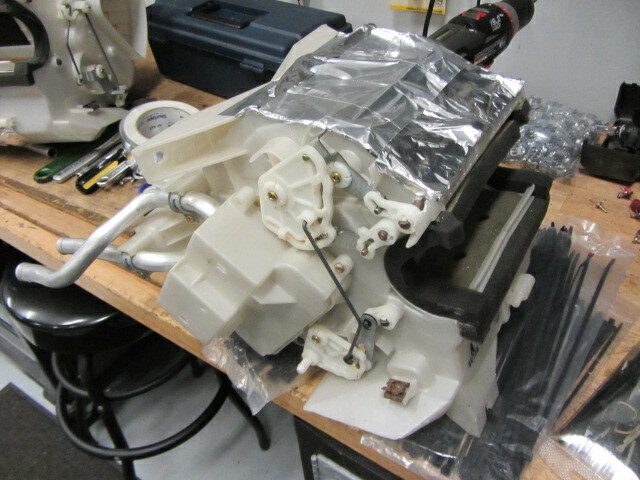 I installed the blower motor. 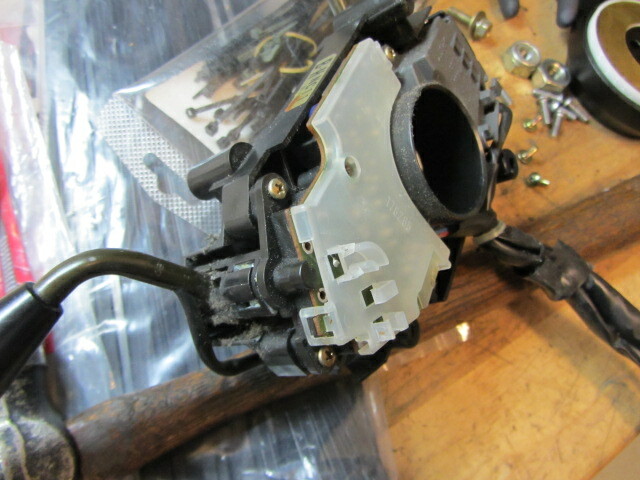 Now that the dash was ready to slide in i decided to install the steering column next, as i attempted to do so, i soon learned that the column was also bent in the crash, so I will have to swap out the ignition switch and my NRG hub. 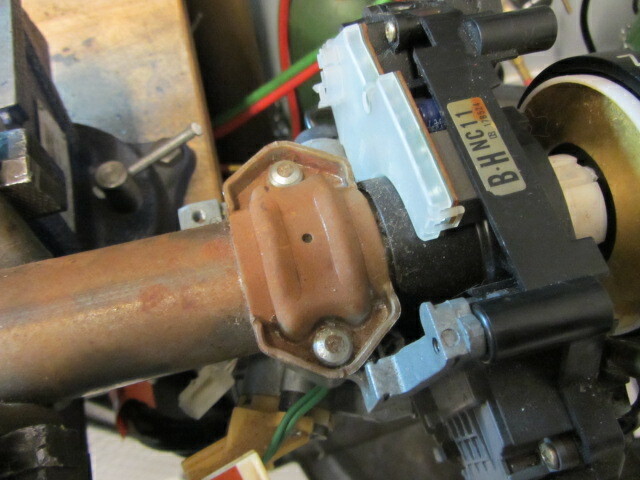 On the VVT the ignition has a security feature, (a circuit board that mates it with the ECU. 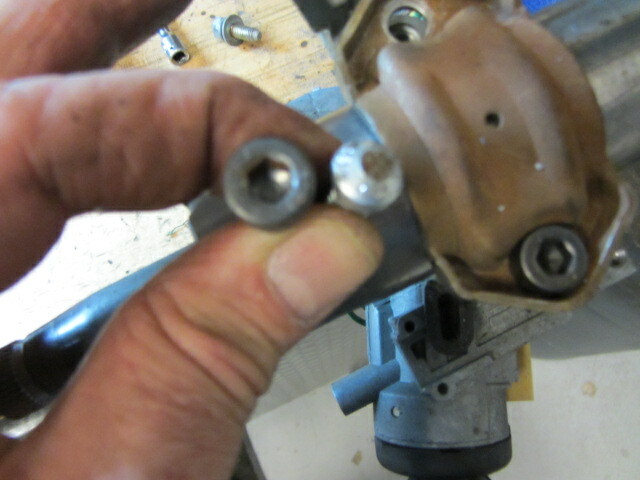 to remove the ignition from the column you have to remove these headless bolts. once off i used bolts when i reinstalled it. 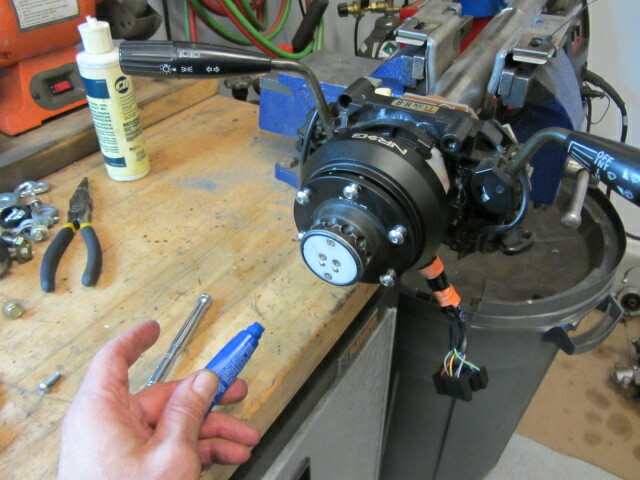 I installed my NRG hub, be sure that you use Loctite on your bolts, do not need a failure here. Now that i have the column ready to go, i slid the dash into place, as i went i plugged in the remaining plugs and tied the wires in place to keep things in order. There are two grounds under the dash, you must be sure to get both of them and there are two grounds in the rear under the package tray. So you have a total of 4 do not miss one. So the grounds are tight, all the plugs in in place. 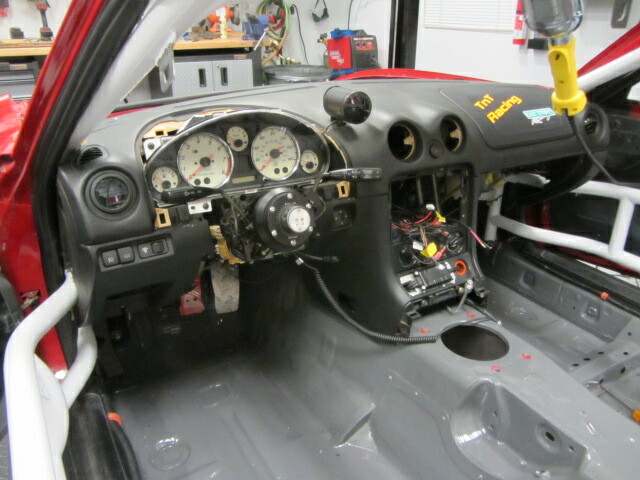 and the dash is bolted in place. I feel good that i have covered the part of this build that was new to me, the rest of the build will be covering familiar ground. Its coming together. I do not have the motor in the car to test this, but i am pretty confident i got it right.